NATO Secretary General Jens Stoltenberg, European Commission President Jean-Claude Juncker and European Council President Donald Tusk met in Brussels today to sign a new declaration on cooperation between NATO and the European Union. 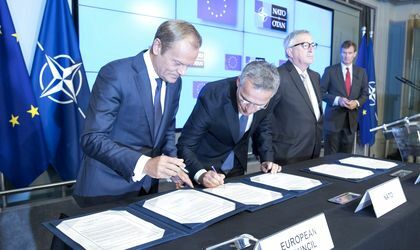 The declaration follows an initial agreement made in Warsaw and states that NATO and the European Union are strengthening cooperation. The areas covered by the new declaration include military mobility, counter-terrorism, resilience to chemical, biological, radiological and nuclear-related risks, as well as promoting the women, peace and security agenda. 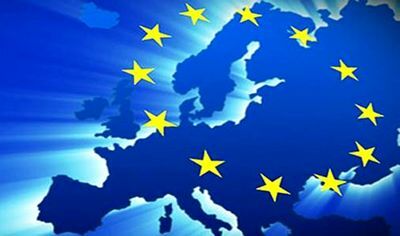 NATO and the EU have an ongoing cooperation was boosted in recent years, across sectors such as maritime security and including for countering hybrid threats and fighting terrorism. The two bodies now exchange real-time warnings on cyber-attacks, participate in each other’s exercises, and work together in responding to the refugee and migrant crisis. “Facing a complex and uncertain security environment, we must work together to keep our nations and citizens safe. And that is exactly what we are doing,”Secretary General Stoltenberg said. “We… need to ensure the fullest possible involvement of non-EU Allies in our cooperation and avoid creating new barriers,” he added. President Tusk and President Juncker will attend two meetings at the NATO Summit, held on July 11 in Brussels.